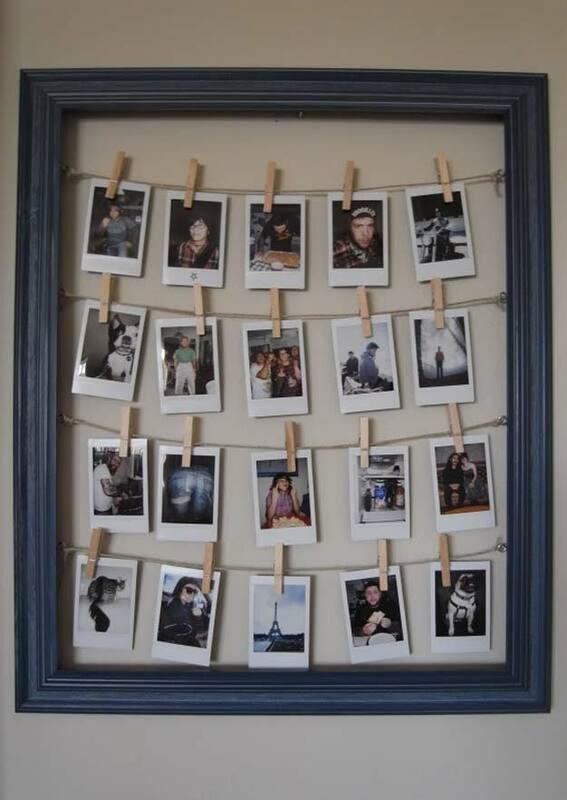 Looking for some cool new ways to display photos or a creative DIY gift ideas? “A picture paints a thousand words.” but photo projects are worth much much more! 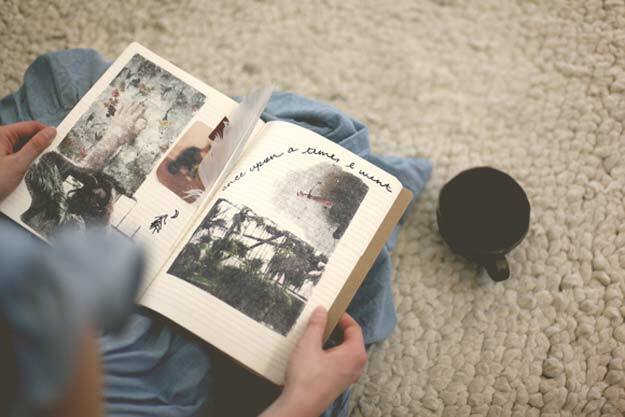 That is why we here at DIY Projects for Teens are excited to bring you a list of photo projects we really liked! 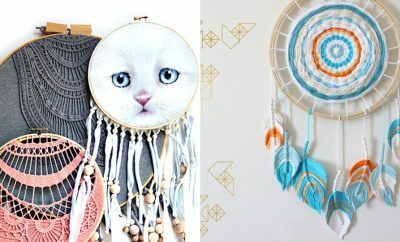 These are the DIY projects that would bring your personal touch to your room, showcase your character; your interests, the people you love, things, time and places that define you, your music, your dreams, and the list goes on. Photos bring us glimpse of the past that can never be brought back but can definitely be relived through beautiful photo projects! So! We know you’re now excited so let’s begin! 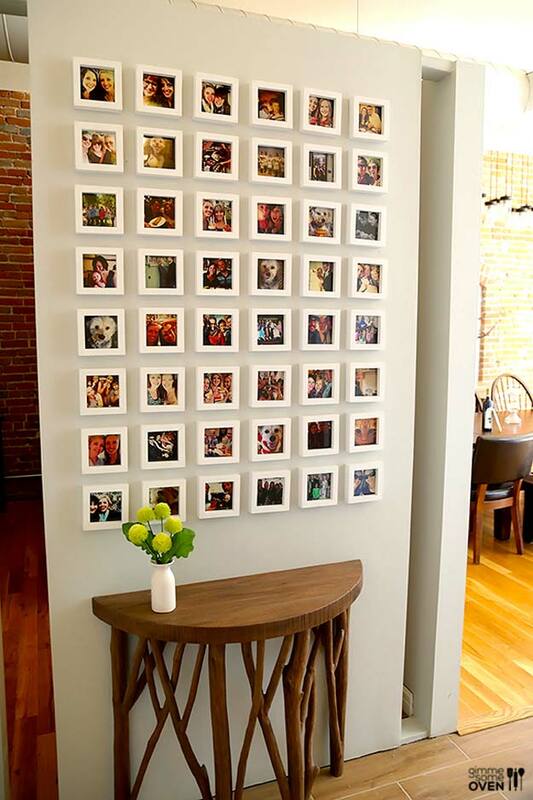 From cool ways to display your Instagram photos to pretty decor projects and DIY photo frames, we have the perfect ideas for all your pictures. 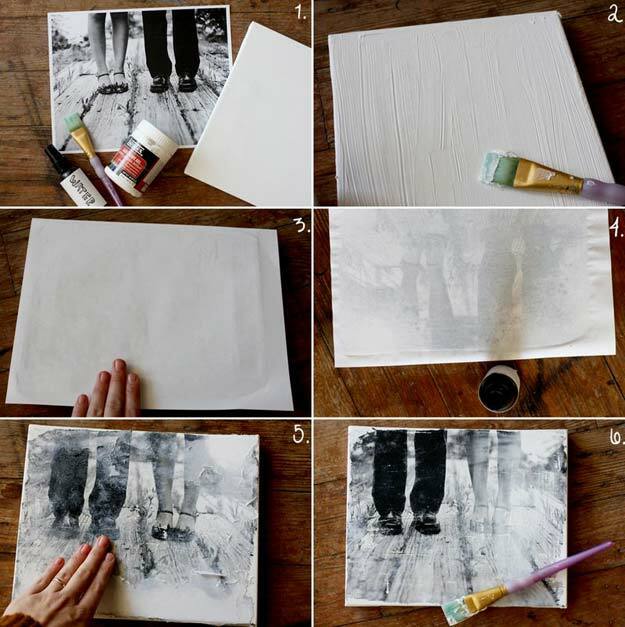 Scroll down and enjoy these awesome DIY photo projects and picture frame ideas! Oh we L-O-V-E this photo project! This makes a perfect friendship gift for all occasions! Click the link above for the step-by-step how-to! 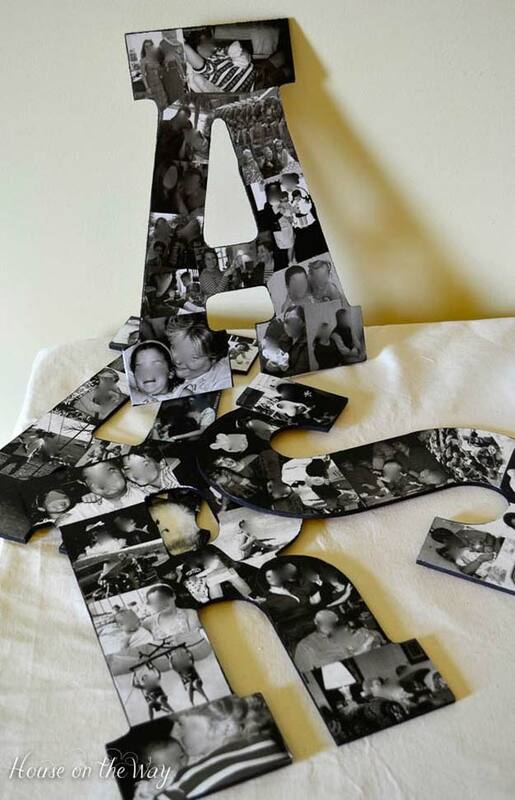 This photo collage letters is perfect for branding your room with the touch of your character! Also a good way to share memories with friends and family members! 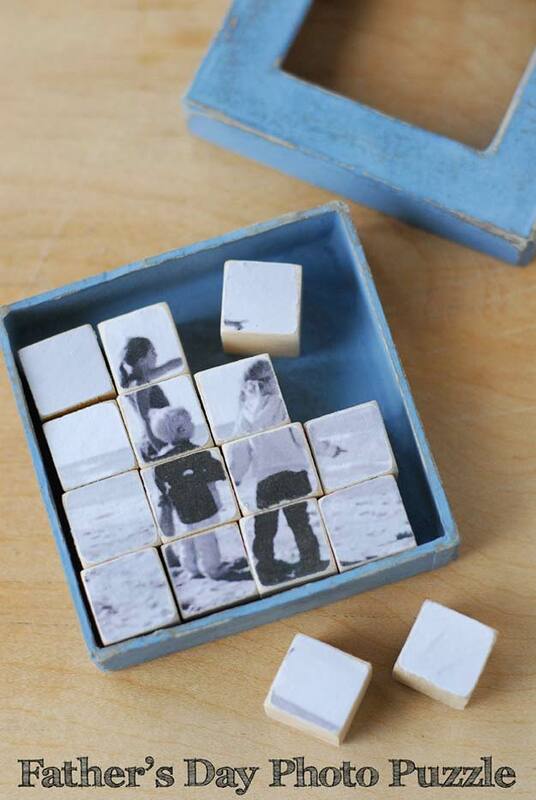 This photo puzzle isn’t just a magnificent room or space decor but this makes a perfect gift too! The link above will walk you through the whole process. This project is one of the easiest projects we have on the list. 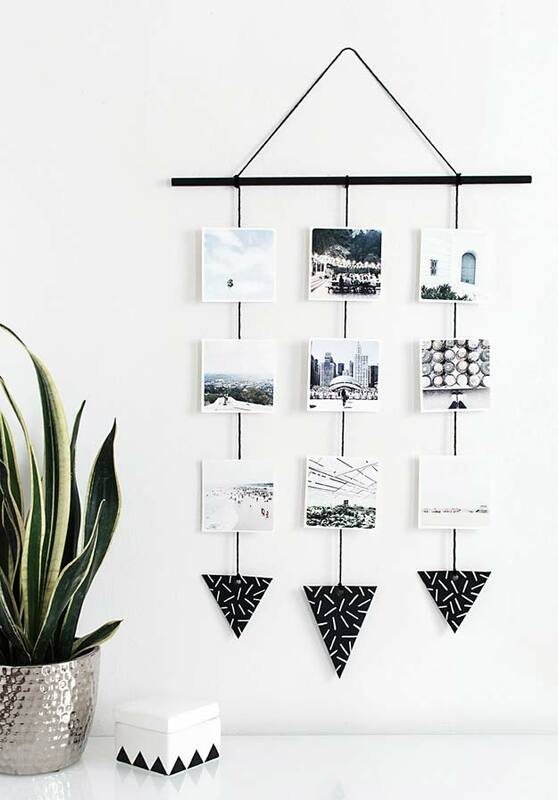 This is a perfect display on a space where you need a lovely wall decor. How A-D-O-R-A-B-L-E is this? We love it and we are sure that you will too! 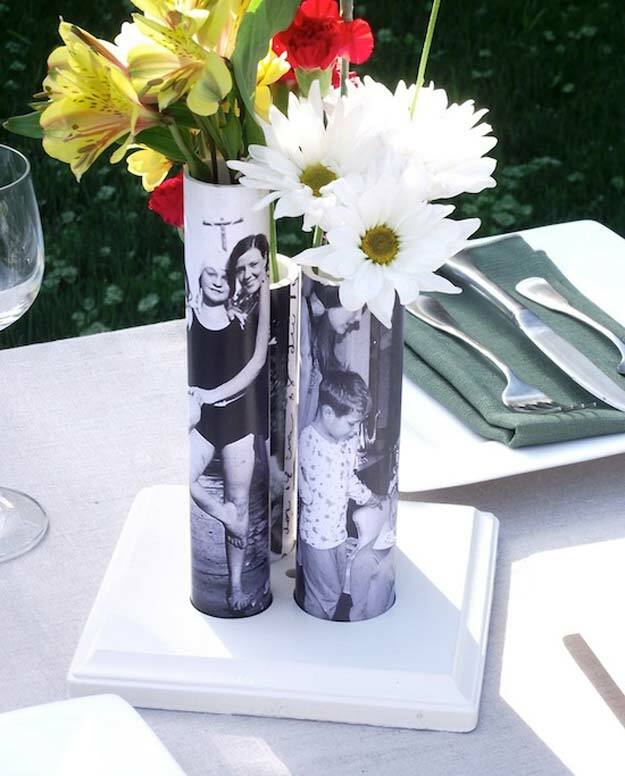 Show off your creativity with these glowing photo luminaries and we bet people that’ll see them can’t take their eyes off them! Instruction through the link above. 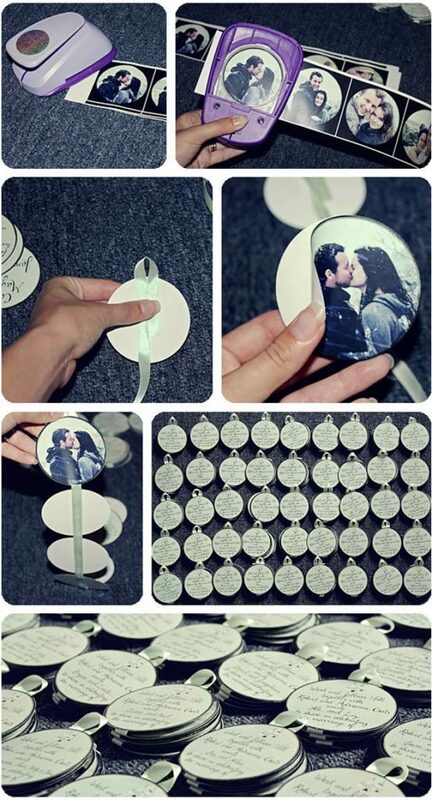 Put this project on your room door and you’ll have the most adorable room door tag in the whole house! Now this one is a perfect gift for Mom. She can put this centerpiece anywhere she wants but we bet it’s perfect centerpiece outdoors or anywhere where there is a good lighting. 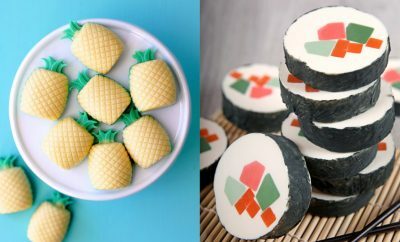 We’re pretty sure your Mom will love these! Whoa!!! This one is B-E-A-U-T-I-F-U-L we can’t get enough with it! 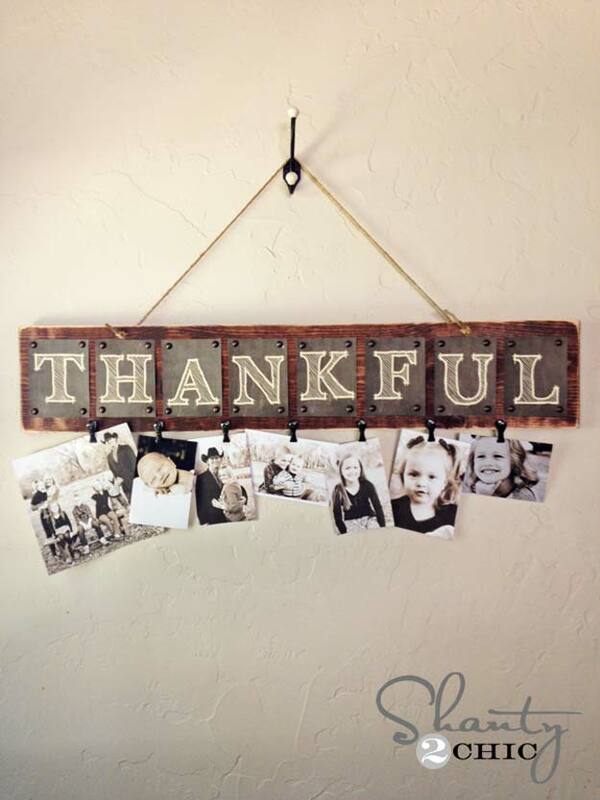 So if you are one who loves rustic designs, check this project out! Contrary to the rustic theme we showed you above, this project here has the look and feel of the modern world. If this is your kind of style, then click the link above for a walk through! 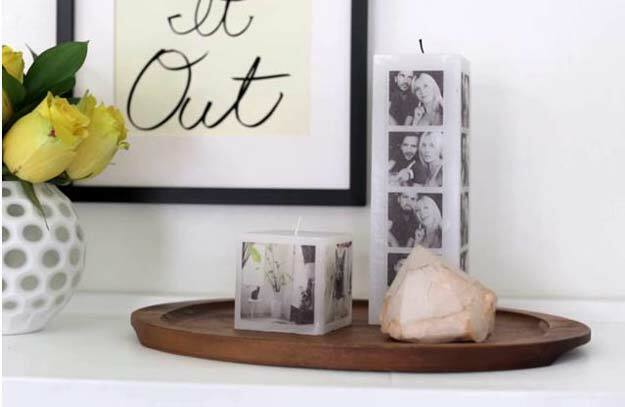 No, tape picture frame doesn’t necessarily have to be messy. 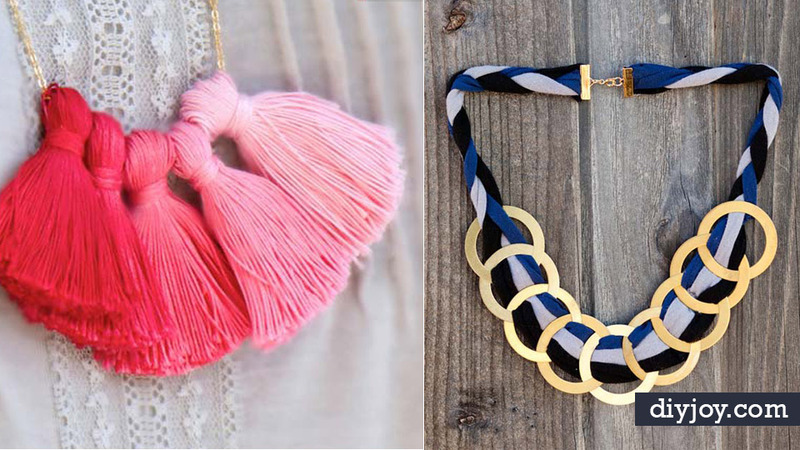 In fact you can pull off a neat, fun and colorful style from it! Check this project out from the link above! Oh you are going to love this!!! 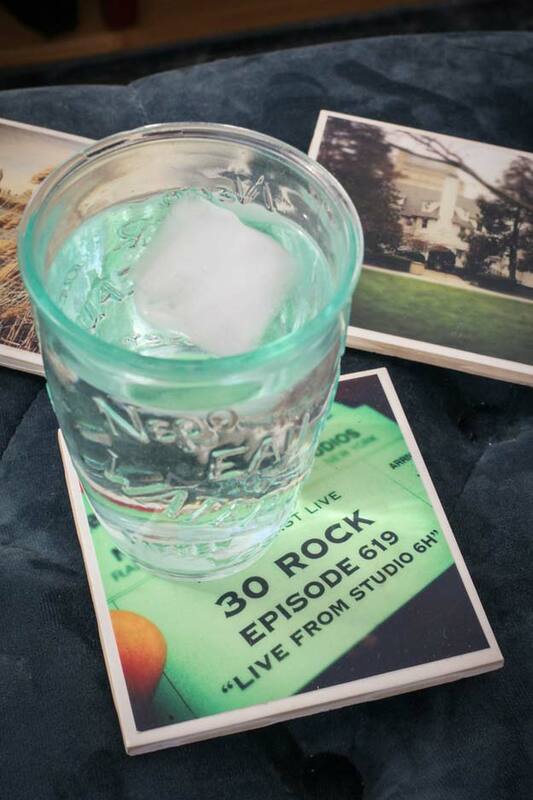 Instagram coasters you made yourself and images you personally chose! This will surely be the topic of your friends for a while when they see you use these at home or at your dorm! 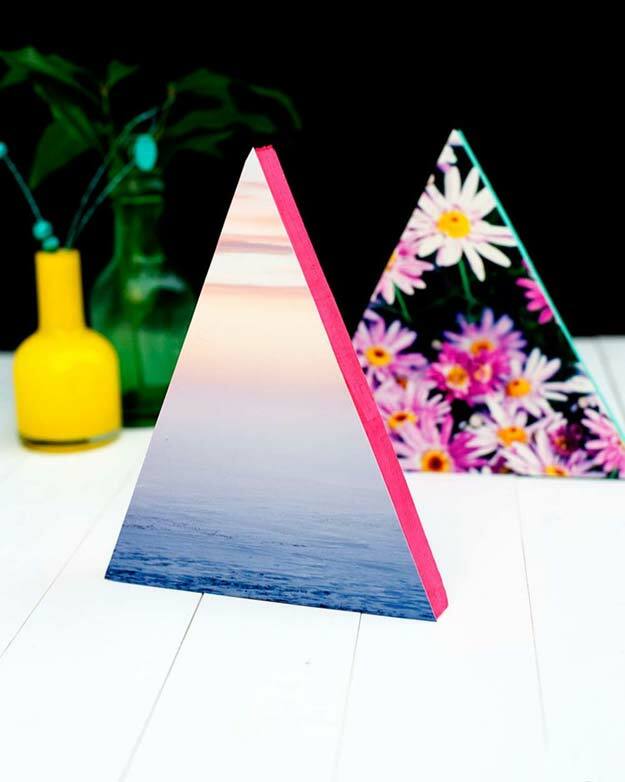 Pull-off some creativity and imagination with these neon triangle photo frames! 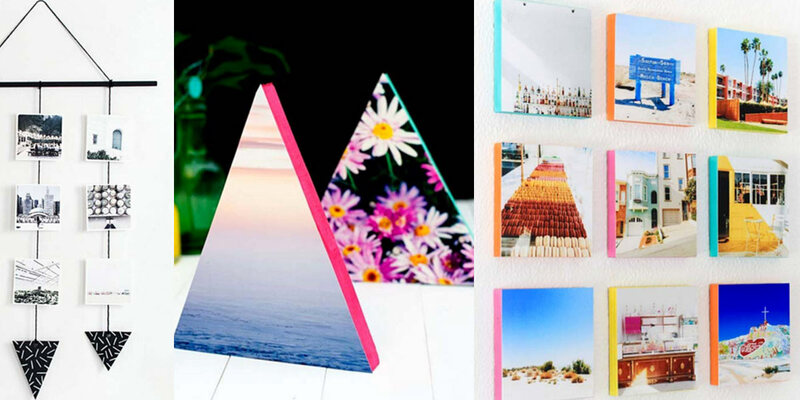 These will surely spice up any corner in your room! And this one is a sentimental one. Something you can give to someone you dearly dearly love or something to keep for yourself to be reminded of the people you love the most! 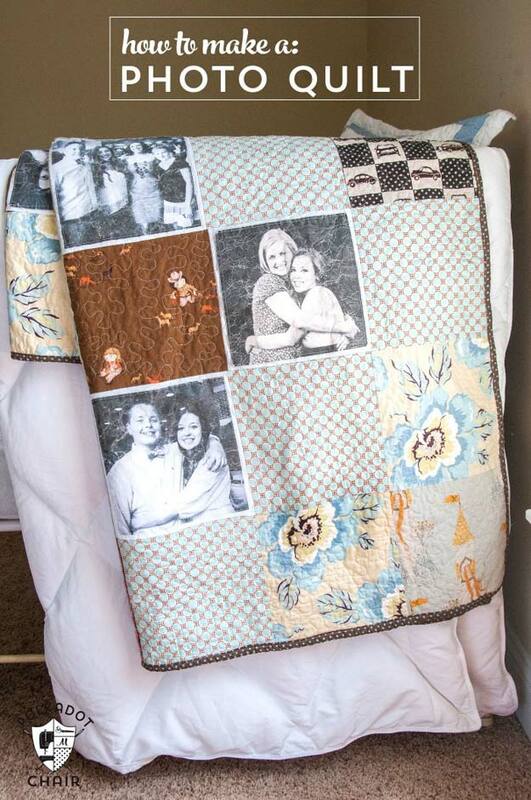 This DIY photo quilt is definitely something!! 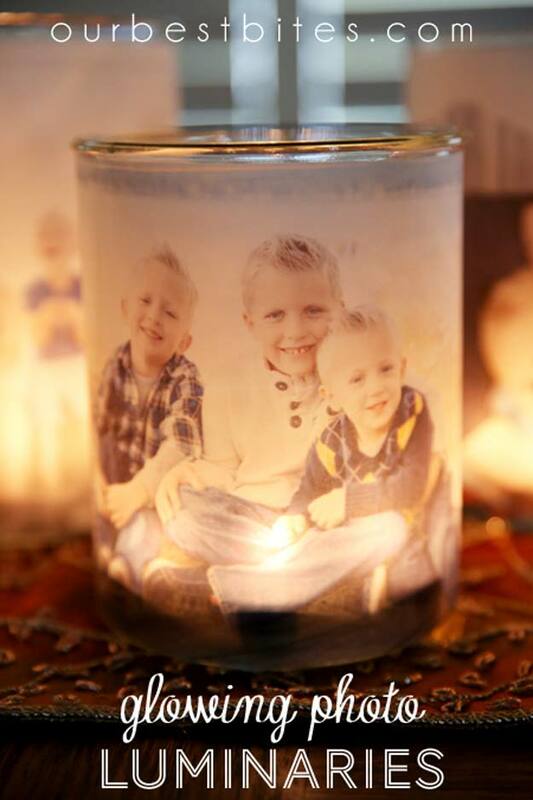 Oh it is heart-melting enough to watch candles melt, how much more a candle that has your or your friends’ or loved ones on it?! Have you heard about this before? Because us, this is our first time! Instagram seems to be a necessity for living nowadays. 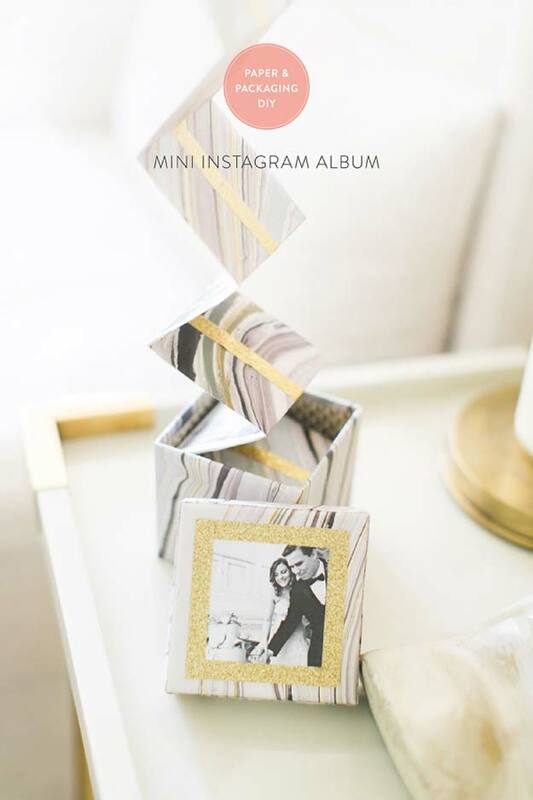 And if you love Instagram that much, you will surely fall for this mini Instagram project! This is another version of the triangle photo project only that this is totally in contrast with the previous one’s colors. 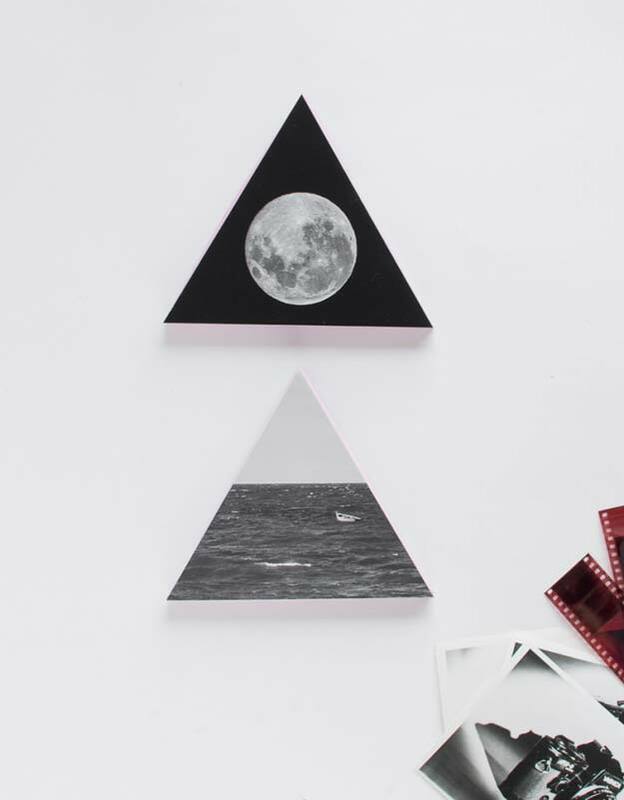 This triangle photo project will make you remember the ocean breeze in a full moon. So if you are the sensational type, click the link above! Another wall art that shows a lot of color and life! 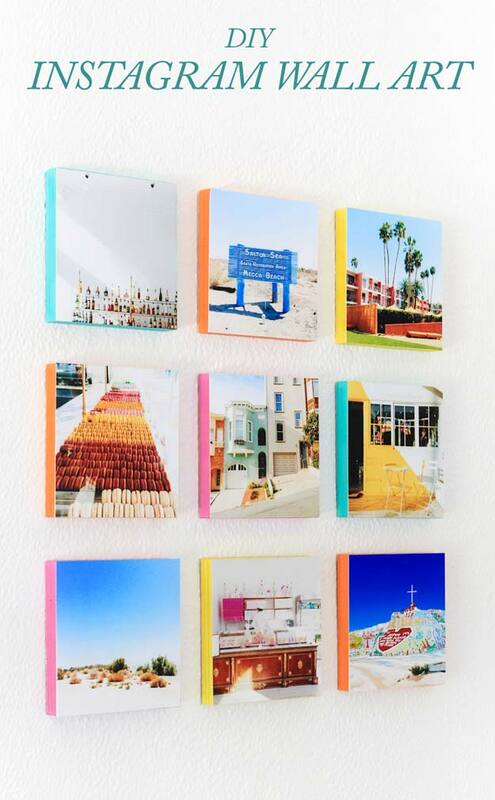 Rejuvenate your wall with these art work! Click the link above for the step-by-step how-to! 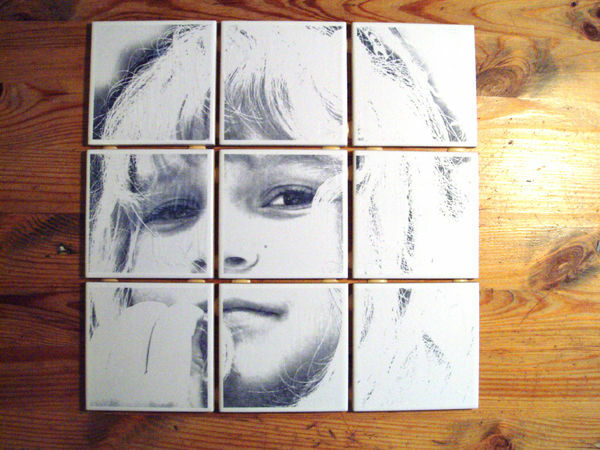 What can be more uniquer than your photo being made a tile picture? Oh yes! very unique! This is in no doubt genius! You do not have a Polaroid but you are dying to have a photo like that. Well why not? But this isn’t just a photo – it is another version of the coasters we already showed you earlier! Irresistible! Transfer your photos to a more secure, memorable place with this photo transfer using blender pens tutorial! Transfers to wood, ceramics, tins and papers too! Everybody loves canvas. There is just something about it that makes photos more precious than they already are, and this tutorial is a genius way of putting your photos into canvas! 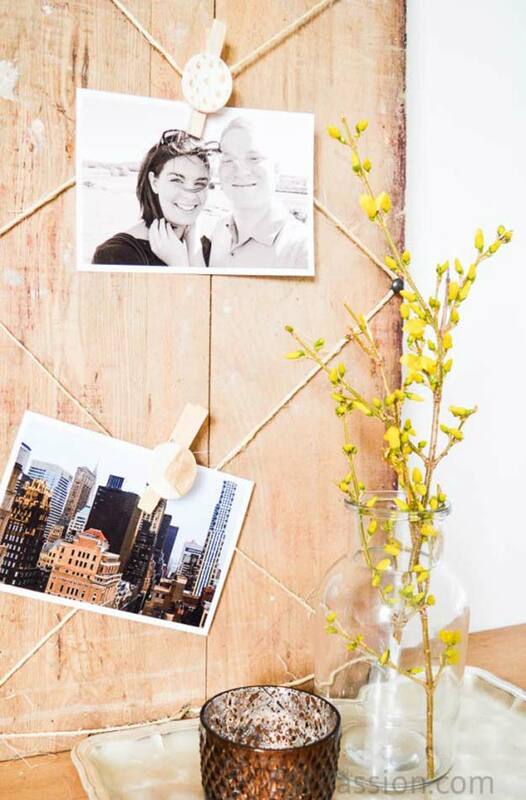 A rustic frame to a photograph is another special thing that compliments a photo in so many beautiful levels. Simple yet captivating. 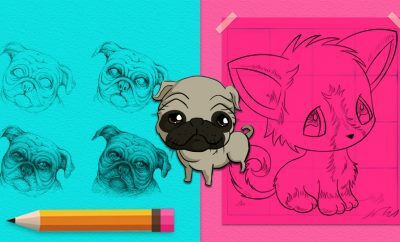 Watch how this tutorial made this art possible! Let’s set aside frames for a minute there and let’s be minimalist. 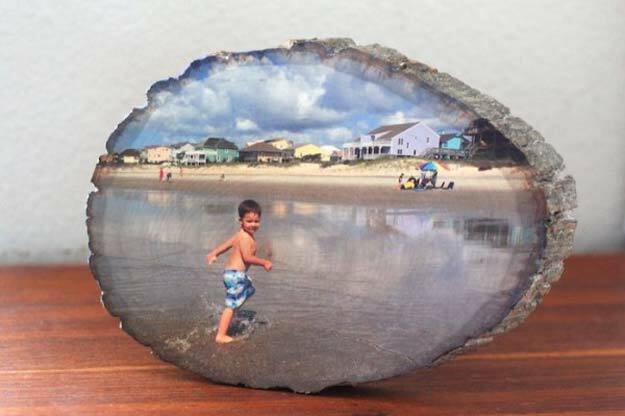 How can we exhibit a photo without having to take a huge stone or wood or canvas? Simple! 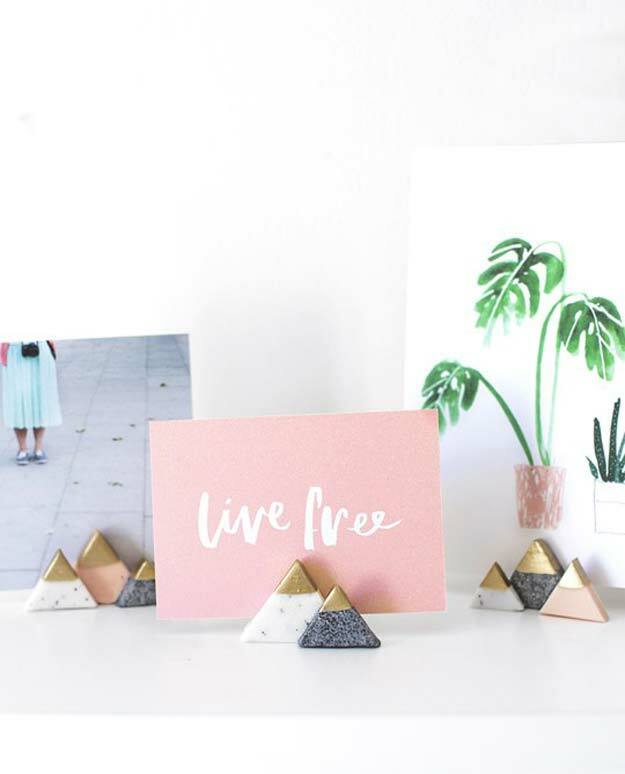 Little photo holders! Check out how they are done through the link above. 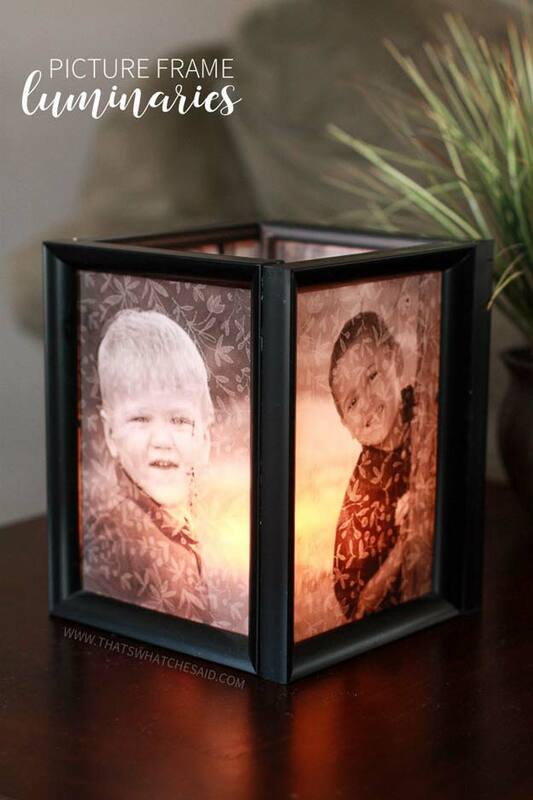 Another luminaries collection is this 4 sided frame luminaries that’s perfect for multiple photos in one place. 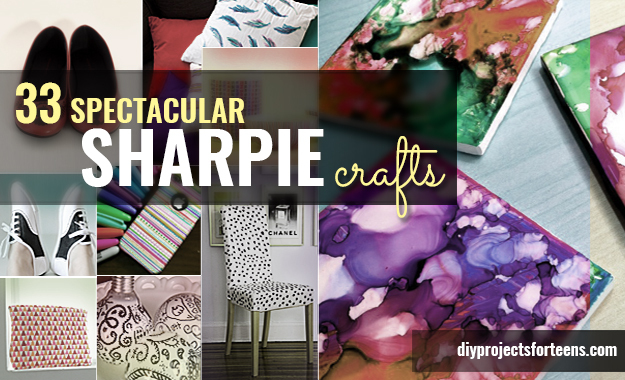 All the materials are found in a dollar store and very much customizable. Check the link above for a walk through! Awww.. this is just sweet! I can imagine having a collection of this to put in array, or to give as anniversary gift, or to weddings you’ll attend! This is a true keepsake piece right here! Now this is the teen spirit!!! 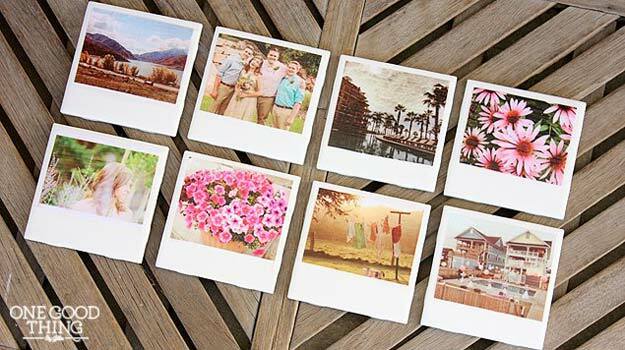 This collage and natural hanging Polaroid photos are a bomb! They are not only super easy to pull off but they are also really nice to look at! 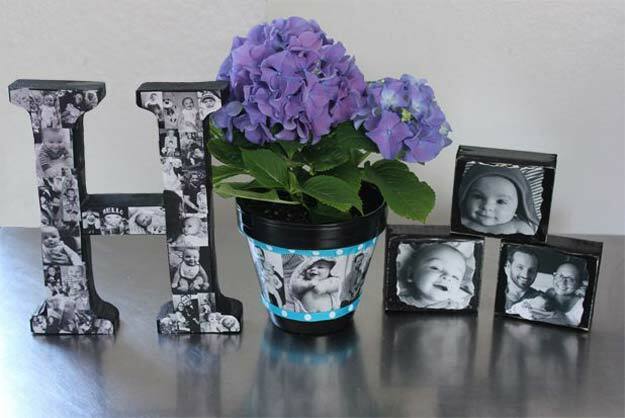 A collage of photos on a letter, on a pot, on a box — where else could you not put your precious photos? We seemed to teach you to put it on tiles too right? 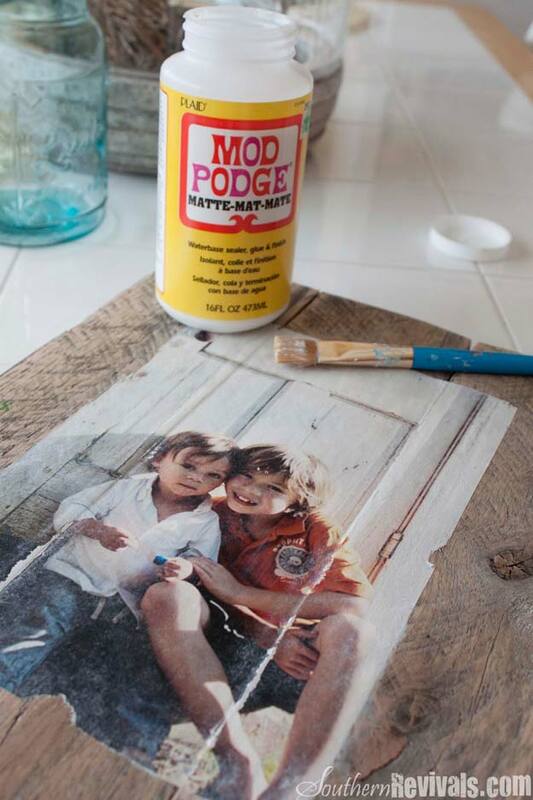 But kidding aside, this personalized photo projects are a touch that melts everyone’s heart. A breezy looking collection of photos in one frame! How cool is that? And the materials are so cheap too! I bet you already have this in your storage. What are you waiting for? 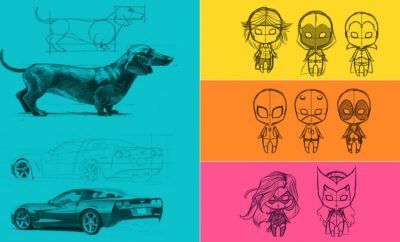 Go ahead make your own version! Ahh! This is just too much to take in! Exquisite-Lovely-B-E-A-U-T-I-F-U-L!!! I have a huge crush on this style! What an excellent way to decorate a room wall! 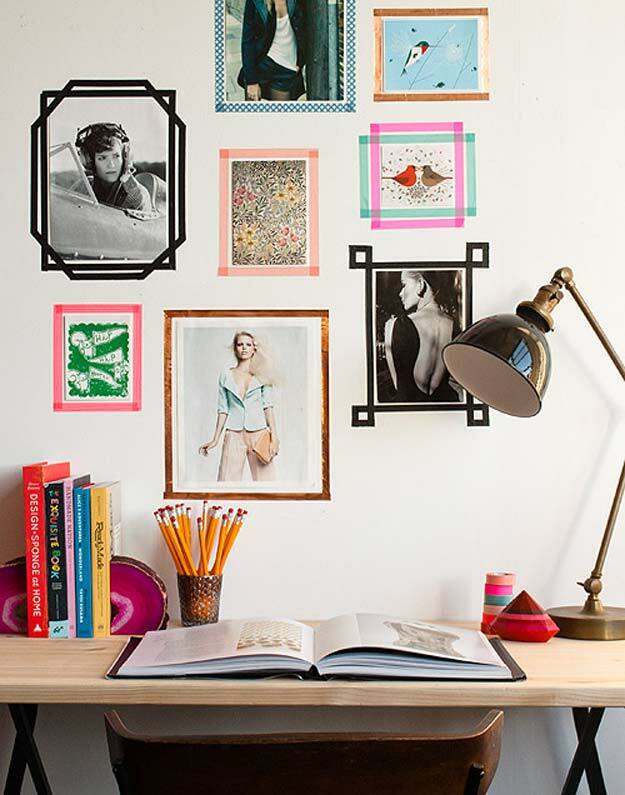 And just when you think we are over with Instagram wall ideas – here we are saving the best for last. 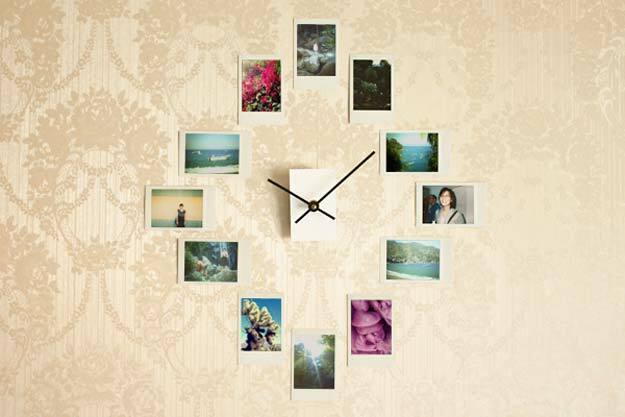 An Instagram wall that will surely have you in awe you’ll probably end up staring at it for hours! 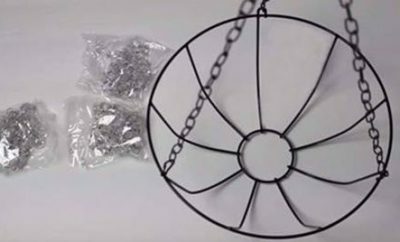 The link above will show you how this is done!